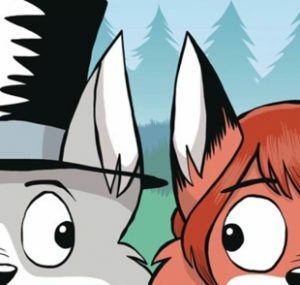 You realize, don't you?, that Ozy and Millie by Simpson (who then went by D.C.) was one of the most popular furry webcomics back in the late 1990s, predating Phoebe and Her Unicorn by quite a few years. Some of those comics were published by Plan 9 Production (which I wonder whatever became of). Now I'm curious how much this new graphic novel draws from that earlier material. Oh yes I realize, believe me -- I own several of the previous collections! But having material out through such a big-name publisher now will me there's that much more chance of O & M being seen by the general public in book stores (if there are such things anymore...).